We’re thrilled to be back and sponsoring Recruitstock once again this year. After a truly memorable debut event we couldn’t wait to come back. We made some great friends, had lots of fun and were really inspired by the great line up of speakers and activities across the 3 days. Last year we made use of the high wires and zip line to deliver an adrenaline fuelled experience for all of those who were brave enough to get involved! We’re always keen to do things differently here at Tonic, helping employers to create truly meaningful experiences in order build reputation and awareness. So we thought we’d make best use of our time by once again giving you, the members, a fun and engaging experience that lasts. We don’t like to disappoint. So, this year we’re really excited to bring you the Tonic Air Race! We’ll be bringing the drones and obstacles ready to test your aerial skill and find out if you’ve got what it takes to take the top spot on our leader board and win yourself a drone. We’ll be located by the main tent, and timed trials will take place during the day’s breakouts on Thursday. We’ll then host the final and prize giving at the end of the day before we all finish and relax for the evening. 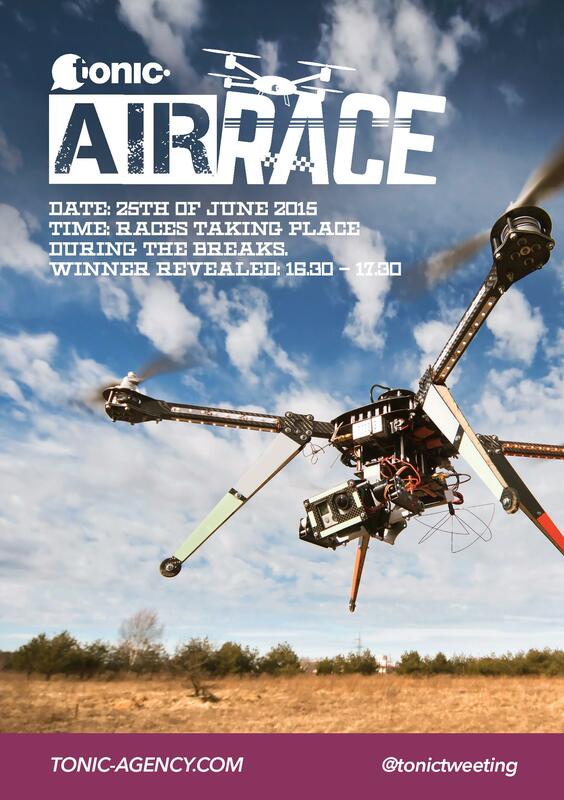 1st place wins a drone, and believe us they’re great fun to play around with. There’s also prizes for 2nd and 3rd places too, so all to play for! We’ll also have a professional drone and camera crew there with us for the entire day to film the highlights and fun, so we’ll be sending round some memories after the event for you all to keep.